You can easily add animation effects to different parts of any of 24point0’s maps. For example, taking the previous world map with continents marked according to population, you can add Fade effects to the continents and numbers. 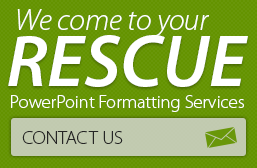 Adding animation to any visual makes the content dynamic and thus heightens the interest of the audience in the PowerPoint presentation. Even the driest of topics on business or management are sure to become interesting to the audience if animation is added to the PPT. Ungroup the image and select the image to be scaled and go to Animation>Custom Animation> Add Effect>Emphasis> Grow/Shrink. The clarity of 24point0’s maps doesn’t suffer even if the image is manually scaled up or down. Need to showcase the impact of your organization on the world? 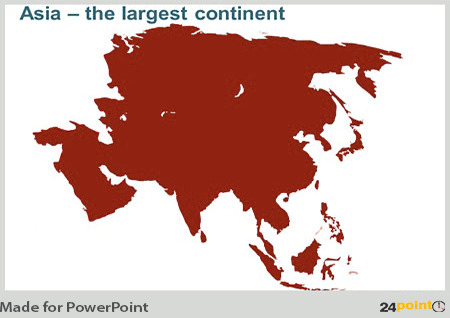 Then buy and download 24point0’s editable World Map PPT deck today! Want a specific country’s map? 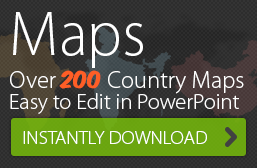 Browse through 24point0’s Maps for PowerPoint gallery to find the one you want!